There's no denying that the American economy is changing. Manufacturing jobs aren't as common as they used to be when they were the bread-and-butter of the American middle-class lifestyle. It's harder to find jobs, and it's incredibly hard to find products to purchase that are made in the USA. Big box stores and huge corporations seem to have cornered the market on much of American spending. Small businesses are finding it harder than ever to get and keep a foothold in their market, competing constantly with large box stores and online giants. There are great reasons to consider buying from a small business and striving to find products to purchase that are made in the USA. Why Support a Small Business? The conditions in which the product was manufactured may be better. Mass-produced products may be made in factories that have inhumane working conditions or they may contain unhealthy materials. Sometimes the products aren't cheaper in large stores. People may assume that products offered by big corporations are cheaper, but that isn't always the case. Small businesses do what they can to be competitive, and it's worth checking on their prices. Also, you are likely to get great customer service from a small business if you have any problems with the merchandise. It's good for the economy and, ultimately, helps you to buy merchandise from a small American business. Putting your money back into the American economy stimulates prosperity. More money in the community leads to more success for everyone. Personal commitment to the business creates better customer service. When there's a problem with a product, a small business owner is more likely to take the time, money, and effort to make it right with you, the consumer. They want to keep their individual customers happy and returning. Why Buy Products Made in the USA? When you buy a product that was made in the US, you are supporting the jobs of other Americans. Over time, that will help create even more jobs at home. More jobs means more money being injected into our economy and, over time, that means a better quality of life for everyone who lives here. Products that are made in the USA are made by manufacturing companies that must adhere to strict environmental standards. Elsewhere in the world, this isn't the case. Buying American helps protect our fragile environment. 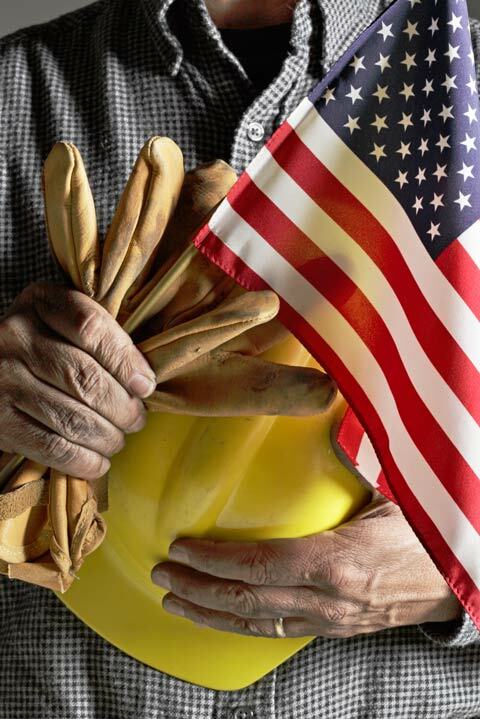 American manufacturers must abide by human rights laws for workers. When goods are manufactured in other countries, they may be made in terrible, unsafe working conditions or by child laborers. Reducing our dependence on foreign countries makes the US stronger. In times of war or global unrest, it is safest if we have our own manufacturing infrastructure set up to care for the needs of our citizens. Many people are trying to make their budgets stretch as far as possible in tight times. Paying a bit more for a product that is American-made can help your budget because it is unlikely that you will need to replace the item as quickly as you might if you purchased a lower-quality, mass-produced version from elsewhere. When you buy an American product, you get bragging rights. Finding a beautiful, well-made item that you can buy from a company owned by fellow countrymen allows you to use it as a conversation piece. You can tell those who visit your home about where you found the item, who made it, and how well it holds up. You can take pride in the fact that you support our nation's economy, the future of our country, and our fellow Americans. Purrfect Post's products are individually hand-crafted in the central valley of California by local craftsmen who take great pride in their work. The finest materials are used, and each product is built with attention and care. 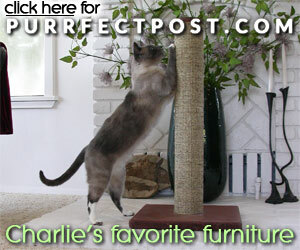 The result is a high-quality post that is unmatched by companies that mass-produce their cat scratching products.